MALDI is the most powerful ion desorption technology for examining many diverse classes of analyte molecules from different types of samples. When MALDI spectra are gathered in a spatially orientated pattern, each spectrum signifies a molecular fingerprint of a particular and unique region of the sample being examined. MALDI Imaging Ion images of six uniquely distributed phospholipids from the below rat testis section. 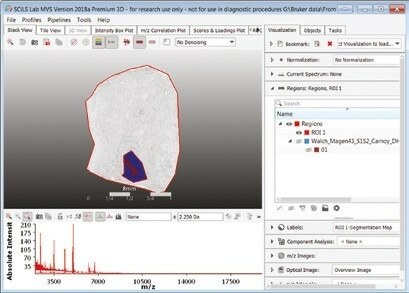 All detected ions can be projected into a two-dimensional map of sample location and intensity — an ion image. From one dataset, hundreds to thousands of exclusive, label-free ion images may be produced and used for mapping targeted compounds or untargeted discovery of molecular markers, which have a particular regional localization. Homogenized samples examined by LC-MS/MS do not offer any localization information and the process may dilute extremely localized compounds below the limit of detection. Examine samples using MALDI Imaging and trap compound distributions, even when localized to very small compartments. 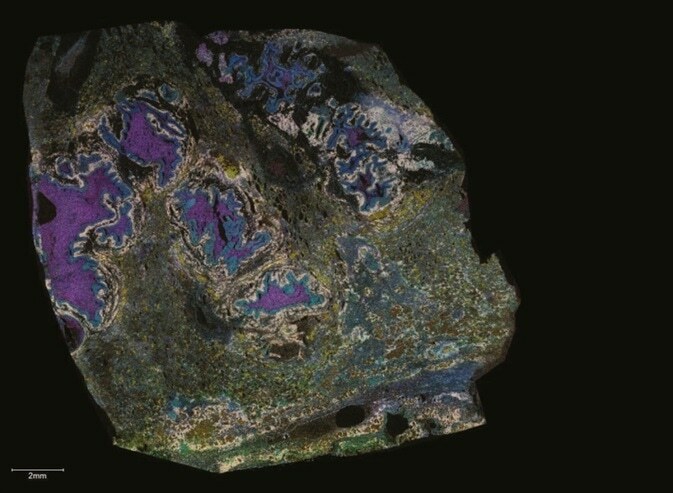 MALDI Imaging can simultaneously map hundreds of different compounds within a small region or across large cohorts of samples. 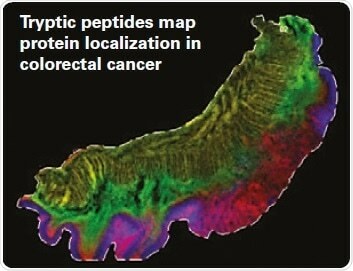 Examine many samples using MALDI Imaging to identify regionally particular molecular changes. By matching these molecules against LC-MS/MS data from the same samples, they can be validated and identified. Examine many samples using LC-MS/MS to identify sample-specific molecular variations. Map these molecules in the samples with MALDI Imaging to validate that they have appropriate regional specificity. Discover three potential sample-specific biomarker ions. We have developed and continue to evolve new glycan and glycoprotein methods for MALDI imaging. Bruker has been a strong partner in facilitating and supporting these efforts with their innovative instrumentation and software solutions. The SCiLS Lab segmentation map reflects the cellular heterogeneity of lymphoma, where cellular regions expressing similar molecular profiles are presented in the same color. 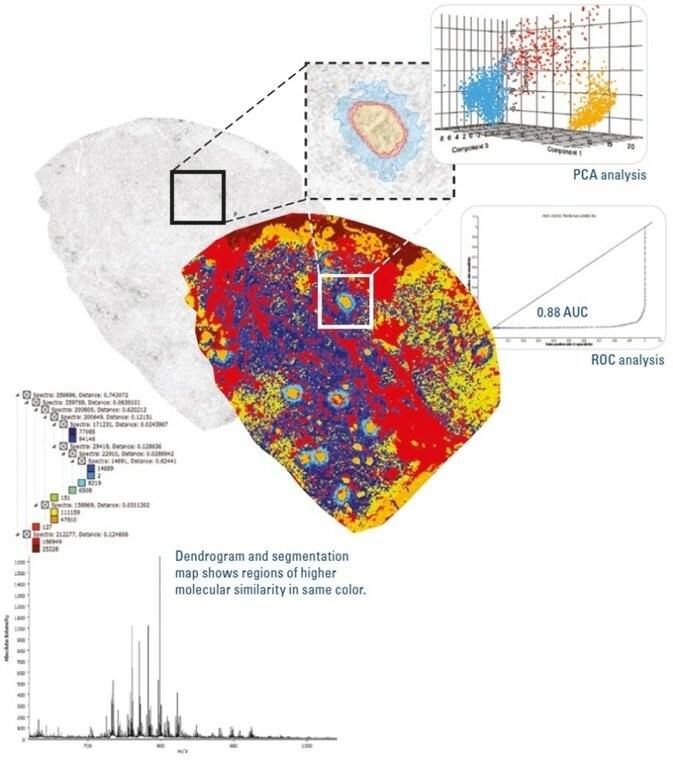 The segmentation map, which correlates really well with tissue pathology, enables the regions of highest interest to be analyzed with greater specificity. Flex MALDI-TOF systems offer the most adaptable analytical speed and range while generating numerous ion images per sample. It is a robust entry-level MALDI system for imaging and a lot more. Access to TOF/TOF is possible. Innovative laser optics engineered precisely for highest performance and maximum speed for MALDI Imaging. Access to TOF/TOF is possible. It is a high-performance TOF/TOF imaging system. 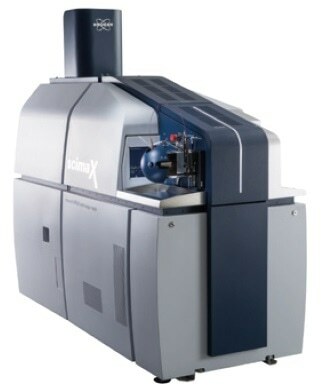 scimaX and 2XR MRMS systems deliver the maximum mass resolving power of any MALDI system in the market and are the ultimate systems for imaging drugs, lipids, and metabolites, generating numerous unique images per sample. Understand the complete advantage of eXtreme Resolution. In the figure above, a three-color image from rat testis shows distributions of three ions at nominal m/z 848 and varying only by 300 MDa. In the figure below, for smaller molecules, eXtreme Resolution can expose high-fidelity Isotopic Fine Structure that can be used to allocate exclusive molecular formula identification. Isotopic Fine Structure of A+2 is compatible with the theoretical IFS pattern of the correct formula. 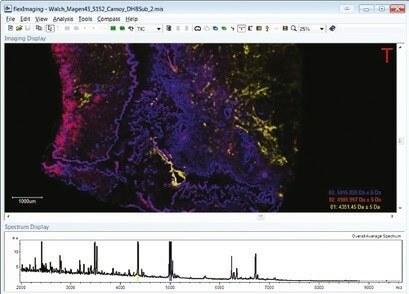 Crucial decisions can be made earlier: The low operational cost of MALDI Imaging enables it to be installed very early in the discovery pipeline to help make decisions sooner and closes the gap between traditional LC-MS and Quantitative Whole Body Autoradiography (QWBA) for distribution and metabolism research. 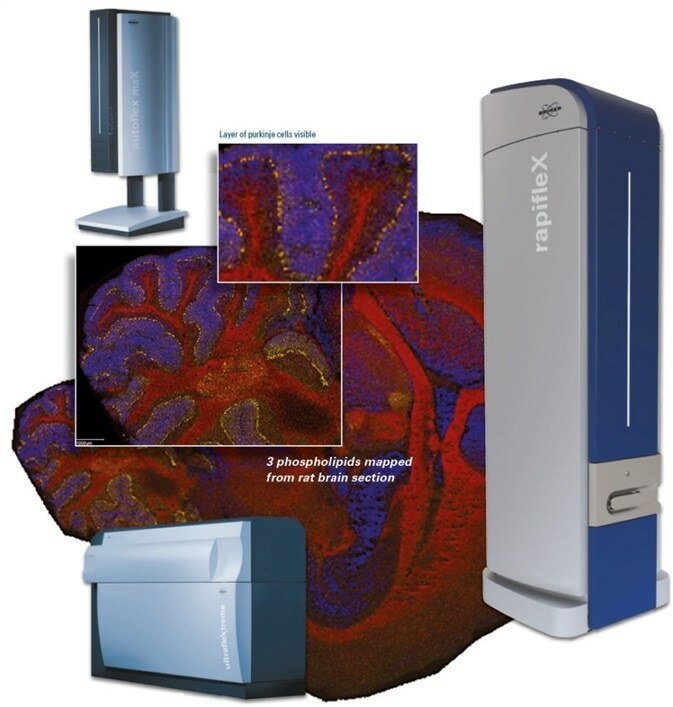 Whether for ADME/Tox studies or part of dosing and PK studies, MALDI Imaging delivers multiple target localization, high sensitivity, and concurrent discovery of toxicity markers — all combined with histology. 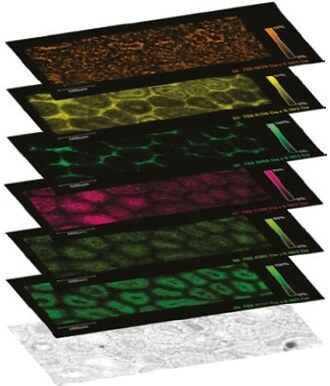 We have been able to achieve the spatial and spectral resolution required to examine sub-compartment tissue distributions and correlate them with histology in the preclinical setting. This ability to link chemistry and biology is permitting us to more closely examine the basis of drug toxicity and pharmacology as well as refine our understanding of pharmacokinetics and drug transport. 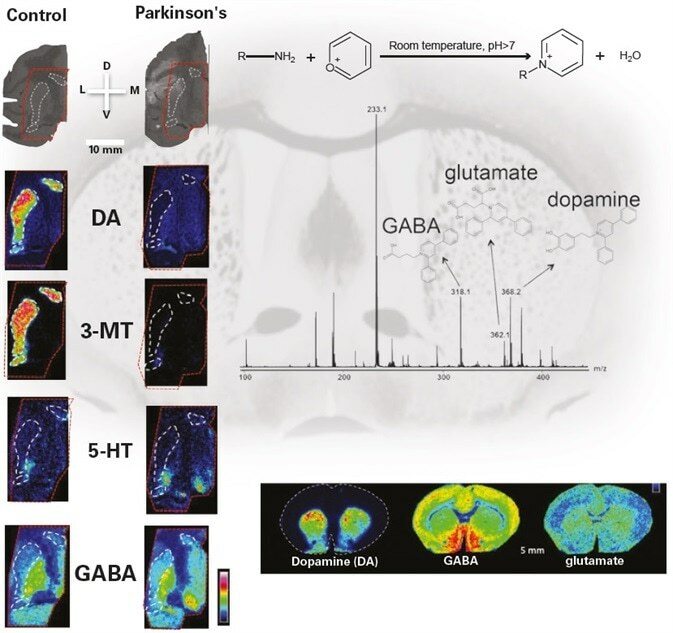 Mass spectrometry imaging enables us to simultaneously map and quantitate multiple neurotransmitters, their precursors and metabolites directly in tissue sections. That is, almost the complete dopaminergic and serotonergic neurotransmitter networks. This enables customers to look further than optical morphology. They can import a number of other imaging modalities to study their MSI data in the most applicable context and increase confidence in their analyses. 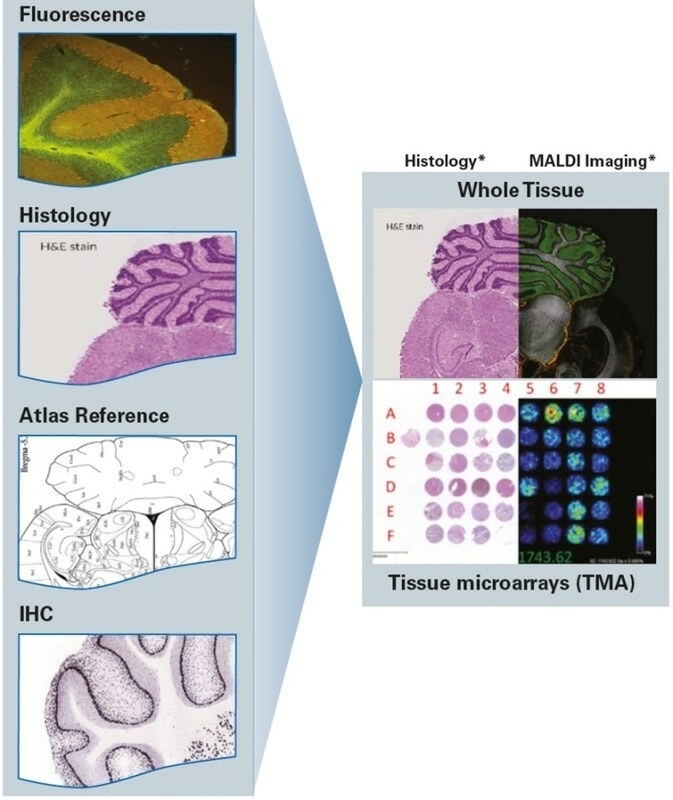 Bruker established the integration of MALDI Imaging data with other imaging modalities to offer customers the most biologically appropriate information. 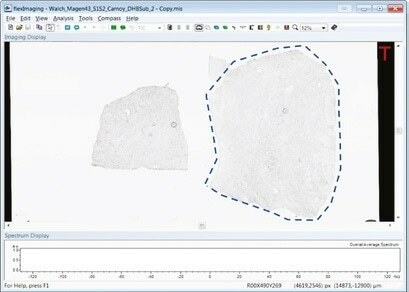 Bruker’s imaging software allows co-registration and overlays of numerous images with total user control. ImaBiotech purchased several Bruker instruments because their devices’ high performance fit perfectly with our MALDI Imaging technology platform to provide superior services to the pharmaceutical and biomedical industries. Our extensive research made possible by integrating Bruker into our repertoire is proof of the unparalleled quality and robustness of Bruker technology. Dr Jonathan Stauber, CEO, Imabiotech.